Every family that experiences the death of a loved one will have a very important decision to make. That decision is whether or not to see their loved one prior to either burial or cremation. This decision should not be taken lightly as it cannot be done over if it is regretted later. Viewing the deceased can be done for just the family or for family and friends. The preparation of the deceased for viewing is a sacred trust that is taken on by the funeral home and their staff. The desire for the family and friends to see the deceased one last time is not a new concept or idea. It began here in the United States during the Civil War when families would travel to battlefields to locate their loved ones and bring them home. The Union Army had “Embalming Surgeons” in the battlefield that would prepare the remains, place them in a coffin and send back to the family by train or horse and buggy. 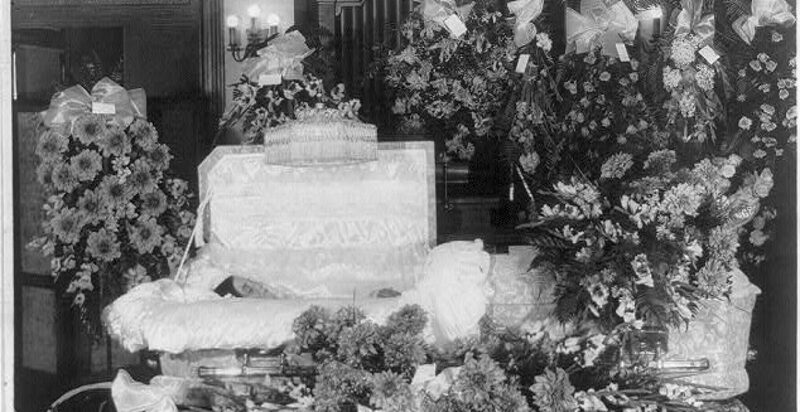 With the funeral of President Abraham Lincoln which took his remains through this country from Washington D.C. to his home in Springfield, Illinois over 19 days with stops along the way for viewing by the public, the public was made aware of this new process. Dr. Erich Lindemann was an early pioneer in grief therapy. His work with survivors of the Coconut Grove Nightclub fire in Boston; lead him to believe that avoidance of the body is done at the psychological peril of the bereaved. Avoiding the body image appears at first to be convenient in the immediate phase of acute grief but this convenience is really an “illusion.” (Symptom logy and Management of Acute Grief, Lindemann, E. American Journal of Psychiatry, 1944:101). allow families enough time to arrange the type of funeral services they want, to transport the deceased to another location for services and to restore the deceased to an appearance that is peaceful and soothing to the family. Individual state laws regulate embalming and with rare exceptions embalming is not required to be performed. The Federal Trade Commission requires that you must give your permission for embalming to be performed by the funeral home. Embalming is only performed by those who have had the required education and passed licensing requirements (in most states) to practice. The remains are always treated with respect and dignity. trauma is present. The procedure begins with the deceased being placed on a table, bathed and then cleaned with a disinfectant solution. The arterial system is used for the injection of preservative chemicals and the venous system is used for removal of some of the blood. The distribution of chemicals is done through a tube that is inserted into the artery and is connected to a machine that will send the fluid to the tube. Once sufficient fluid has been injected into the body, the vessels are tied off and the incision or incisions will be sutured closed. The internal body cavities are treated by inserting a long tube and removing any gas or liquids and adding a preservative chemical. cases even if the family had thought they wanted the casket closed they will leave the casket open because of the work of the embalmer.